The indicator My Big Bars can show bars (candles) of a higher timeframe. 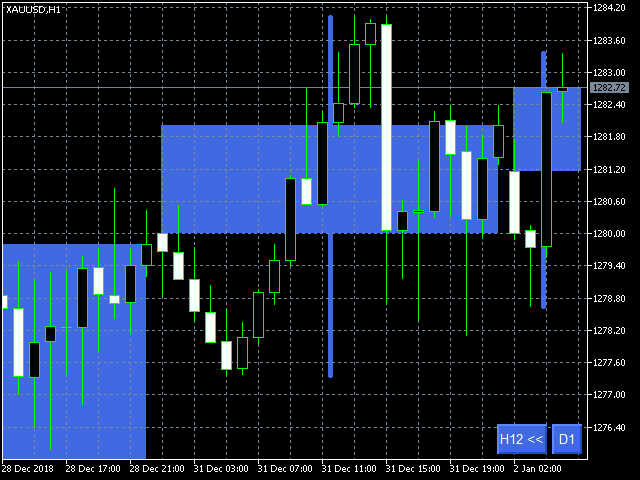 If you open an H1 (1 hour) chart, the indicator puts underneath a chart of H3, H4, H6 and so on. The following higher timeframes can be applied: M3, M5, M10, M15, M30, H1, H3, H4, H6, H12, D1, W1 and MN. The indicator chooses only those higher timeframes which are multiple of the current timeframe. 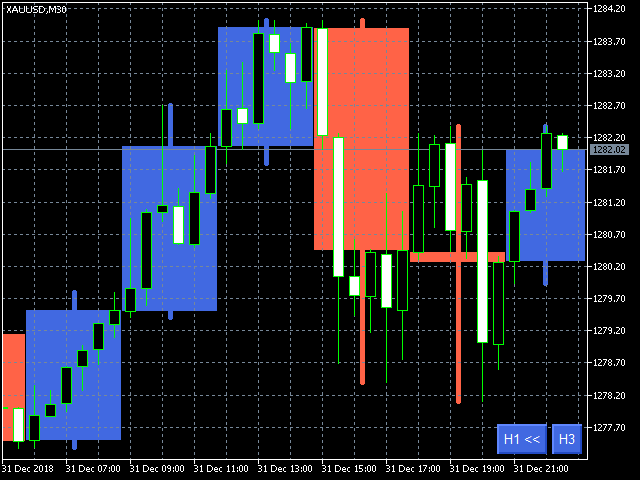 If you open an M2 chart (2 minutes), the higher timeframes exclude M3, M5 and M15.